If you’re intending to buy or sell an Ipswich property, the professional team at Brisbane Conveyancing can help you achieve a smooth, worry-free conveyancing experience. We help our clients in Ipswich, the greater Ipswich region and Queensland-wide buy or sell a property with confidence. Our conveyancing solicitors will take care of all legal details on your behalf with conscientiousness and transparent communication. Although our physical office is located in Brisbane, we offer our conveyancing services throughout Queensland without any need to travel to our office. For Buyers, we also recommend that you also undertake optional rates and water searches for Ipswich. We provide an affordable standardised service, which is both streamlined and progressive. Since the majority of Ipswich property transactions are completed without delays, we believe that our customers should not pay for extra services they do not need. Therefore, we proceed under the assumption that there will be no delays. This allows us to offer a streamlined, more cost-effective price to all our clients. Here at Brisbane Conveyancing, we understand that buying a property can feel overwhelming, particularly if this is your first time. This is why we prioritise customer service and offer practical advice to help you every step of the way. Our conveyancing is transparent, efficient and designed to make the complicated conveyancing process easy and stress-free for you. 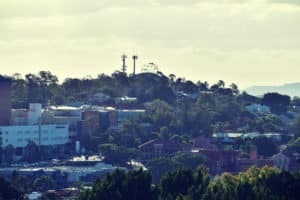 Drawing upon a thorough knowledge of Queensland property law, our conveyancing lawyers can greatly reduce the risk of buying or selling residential or commercial properties in Ipswich. We have considerable experience working in this specialty, and have helped countless Queensland residents buy or sell in this region. 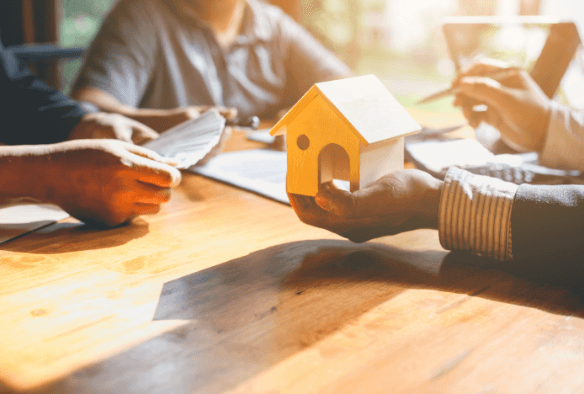 For most property buyers and sellers, it’s best to seek advice from a Queensland property law expert who can manage the complex conveyancing process on your behalf. Our team can review your legal contract before you purchase, ensuring you can proceed with the purchase or selling of your Ipswich property with complete confidence. Our Ipswich solicitors can provide you with effective and knowledgeable legal advice to assist you in purchasing your property. During our consultations, we will discuss which property searches from the Ipswich Regional Council are available and recommended for you. To complete your conveyancing, we will organise to legally transfer your property into your name. If you seek finance or take out a mortgage, we will coordinate with your bank to make sure your Settlement proceeds according to schedule. If you are looking at purchasing a home or investment property in Ipswich, you’ll likely want to complete the purchase quickly and smoothly. Our professionalism means you can move toward your Settlement date with confidence. Our Ipswich conveyancers can collaborate with you to ensure your property sale proceeds smoothly. We have designed our procedures to limit Settlement delays. If you sell a property, we will offer guidance on your legal rights, prepare legal paperwork on your behalf, and communicate with all involved parties to make sure you receive the Settlement proceeds from the buyer on time. Our solicitors have extensive experience across all facets of Queensland property law, making us well-equipped to manage and finalise your property sale. 1. Do you deliver property conveyancing for clients in Ipswich? Yes, we help Ipswich residents and investors in buying or selling their Ipswich property. Since property law is consistent across Queensland, we are completely qualified to manage your Ipswich property transaction. Our wealth of experience and efficiency make us well-prepared to assist any client in Queensland. As a plus, our conveyancing work is performed entirely via phone and email, so there’s no need to visit our office or travel to our Brisbane CBD office. 2. How much are your Ipswich conveyancing fees? Do you offer fixed price conveyancing in Ipswich? At Brisbane Conveyancing, we quote a standard conveyancing fee for all property transactions. This includes transactions in Ipswich. If you are purchasing an Ipswich property, we will recommend requesting us to undertake searches with the Ipswich Regional Council on your behalf. This will involve verifying the status of the rates account and conducting a water meter read. The search costs adopted by the Ipswich City Council are different to other councils in Queensland. If you contact us, we will be able to provide you with an estimate of these costs. We consistently find that our clients appreciate the simplicity, affordability and transparency of our standardised service. We choose to offer this standardised service, instead of a fixed price quote, to give our clients the best value for money. Although fixed price conveyancing may seem beneficial in theory, this kind of service is generally priced higher. Why? To allow for costs incurred as a result of delays when purchasing or selling your property. However, most Ipswich property transactions proceed without these delays. By purchasing fixed price conveyancing, you are paying for extra services you don’t necessarily need. However, if you are certain that you would like fixed price conveyancing, please let us know so we can discuss your options. If you believe you will require more than our standard conveyancing package, please get in touch with our team to discuss the possibility of add-on services. We can certainly customise our services to your unique needs. Finally, if you are concerned about ‘hidden fees’, please get in touch so we can help you understand how our fees are structured. 3. My Real Estate Agent has referred me to a conveyancer located in Ipswich. Should I hire them? Actually, it is a myth that you need to hire a solicitor from the suburb or council in which you are buying. Instead, we recommend choosing a firm that you feel meets your needs. 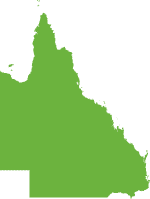 At Brisbane Conveyancing, we have expert knowledge of Queensland property law and our efficient conveyancing process means we can offer our services at an affordable price. If you receive a similar quote from an Ipswich conveyancing solicitor, please send it through to our team and ask us about our price beat guarantee. 4. Do I have to visit your office? There’s no need for you to travel to our office to work with us, as we send all required documents to you via email or post. However, if you happen to visit Brisbane, you’re welcome to drop by and say hello.